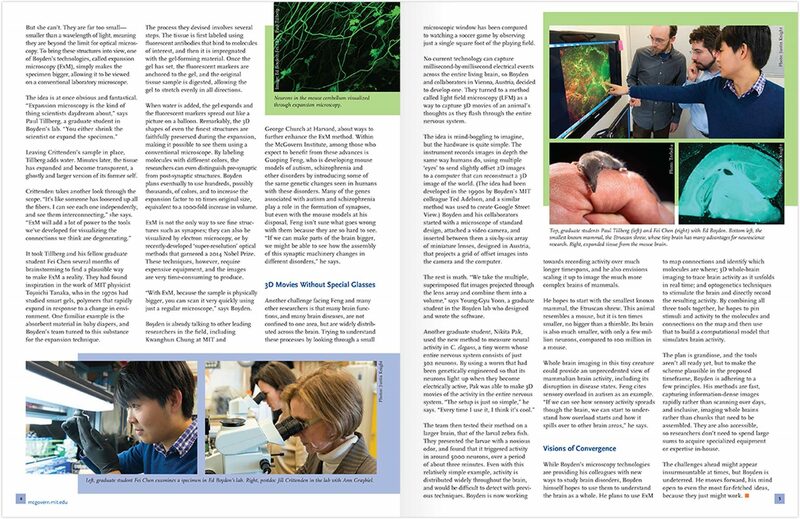 The McGovern Institute for Brain Research at MIT is led by a team of world-renowned neuroscientists committed to meeting two great challenges of modern science: understanding how the brain works and discovering new ways to prevent or treat brain disorders. 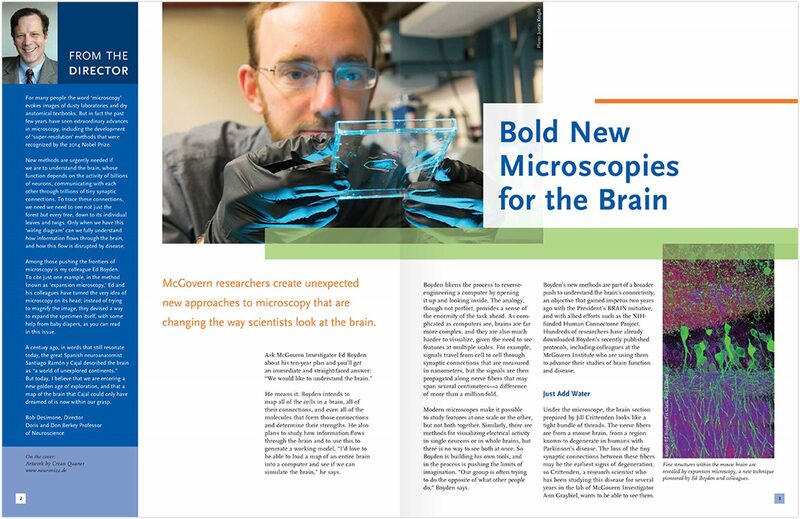 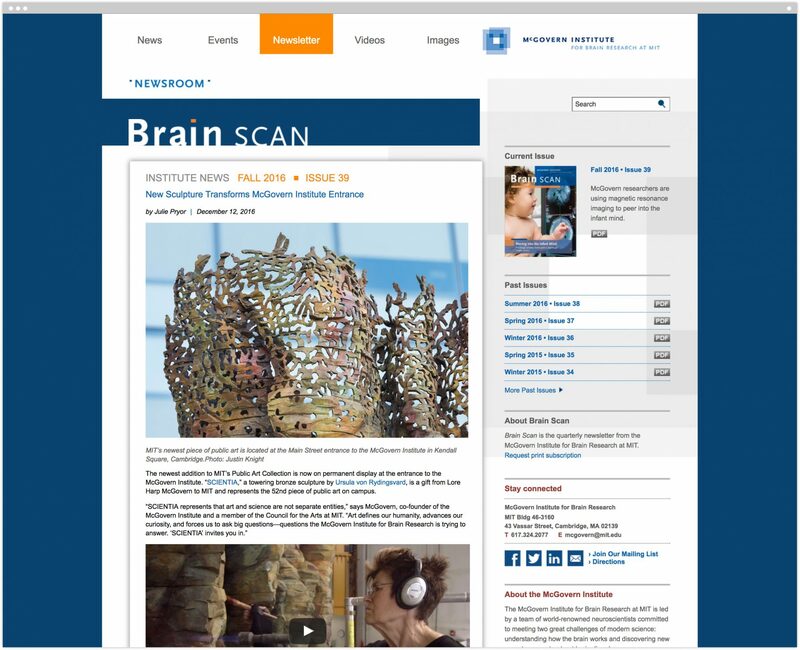 The Institute was established in 2000 by Lore Harp McGovern and the late Patrick J. McGovern, with the goal of improving human welfare, communication and understanding through their support for neuroscience research. 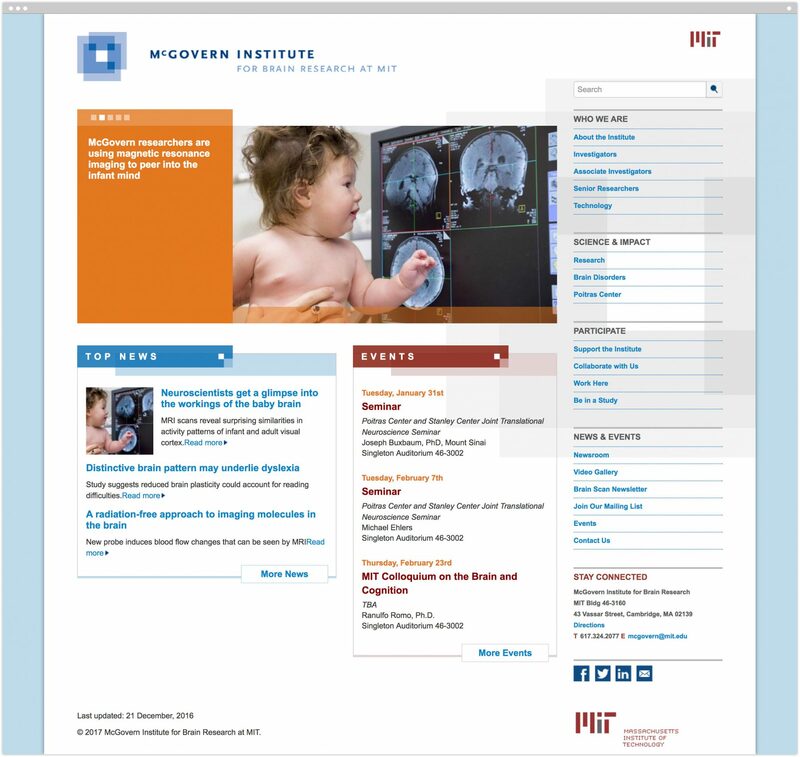 At the outset, the brand-building communications we crafted were, for many people, the Institute. 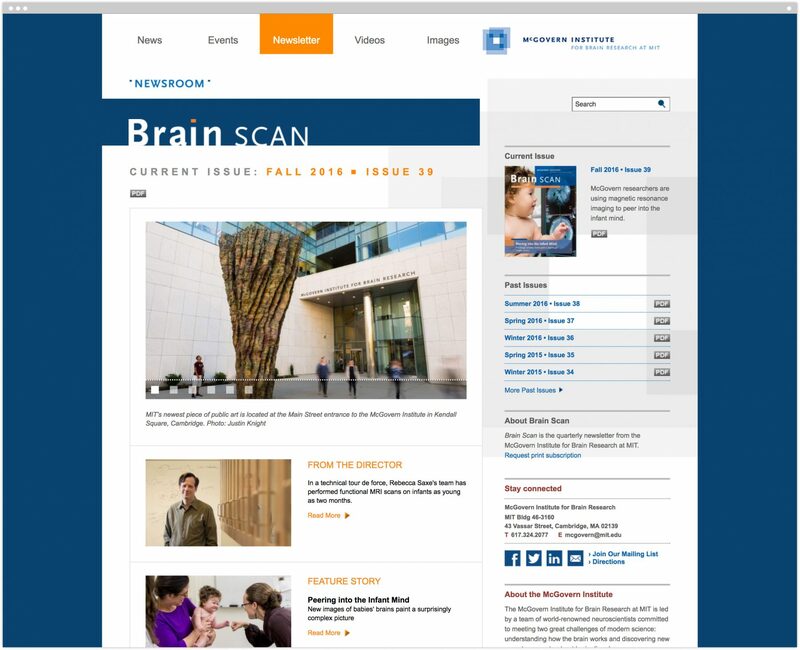 Lacking a building, and with faculty dispersed across MIT, the print and digital communications came to constitute a “virtual” McGovern. 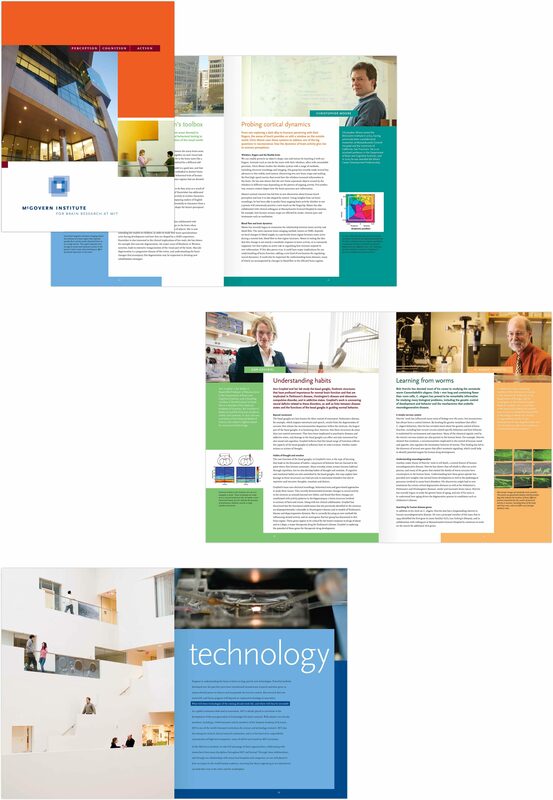 In 2005, to herald the Institute moving into its new building, we helped to develop and implement a comprehensive communications / event plan—including integrated print, digital, environmental, and interpersonal programs. 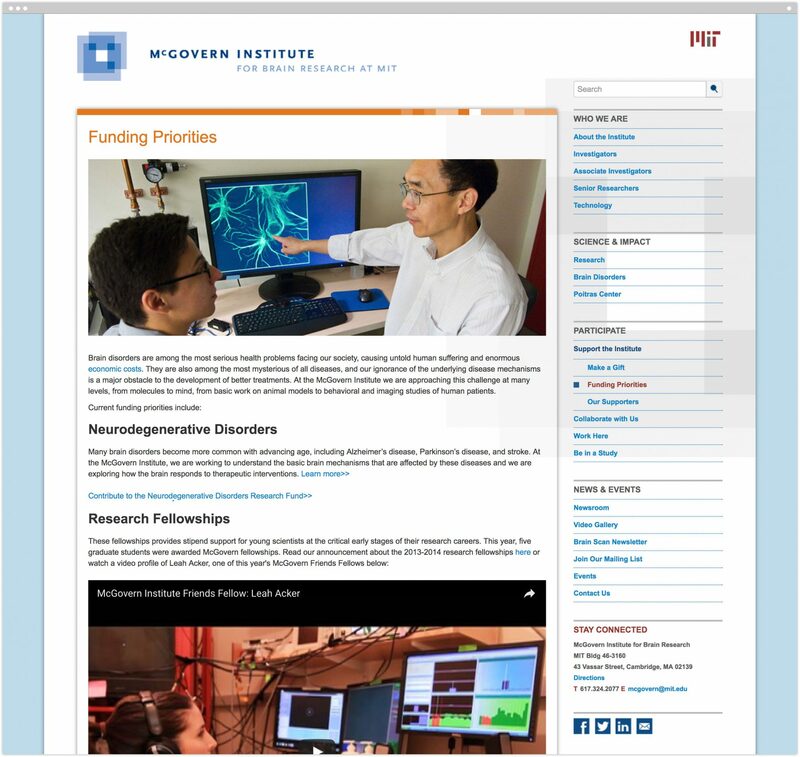 The past several of years have brought the launch of the Institute’s third website (and plans for the fourth! 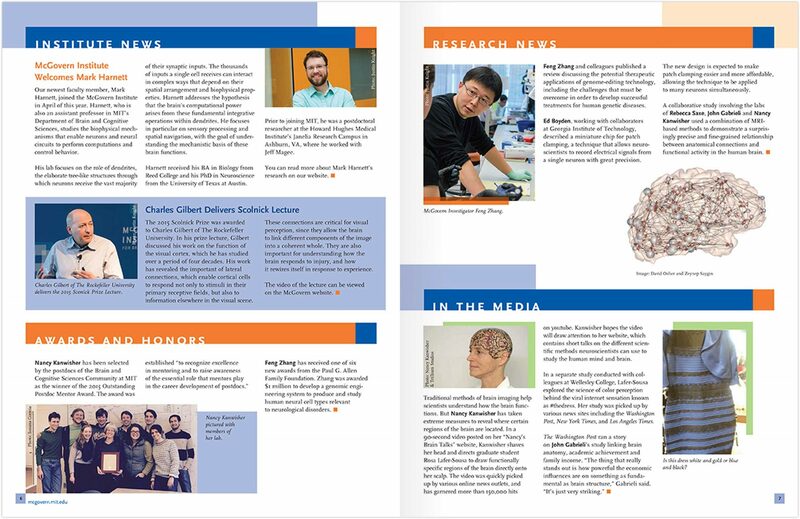 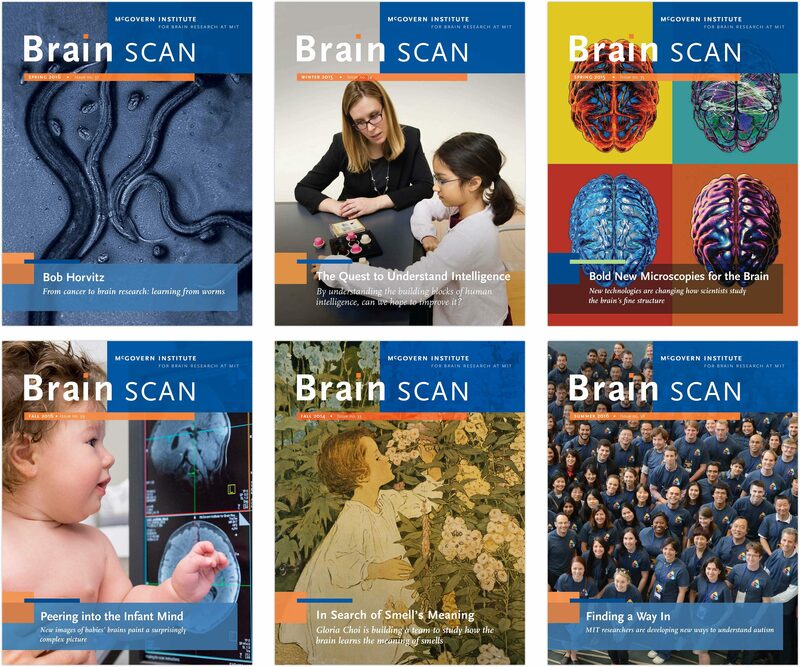 ), and we continue to create new print publications—complete with their own digital extensions—to broaden the funding base and increase connection to the Institute.